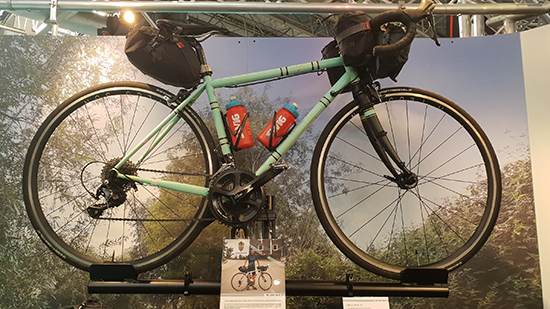 There were a number of bikes featuring tubing and parts from Reynolds at the 2018 Cycle Show at the NEC in Birmingham. Ribble have added new models, using Reynolds 725, to their line-up. 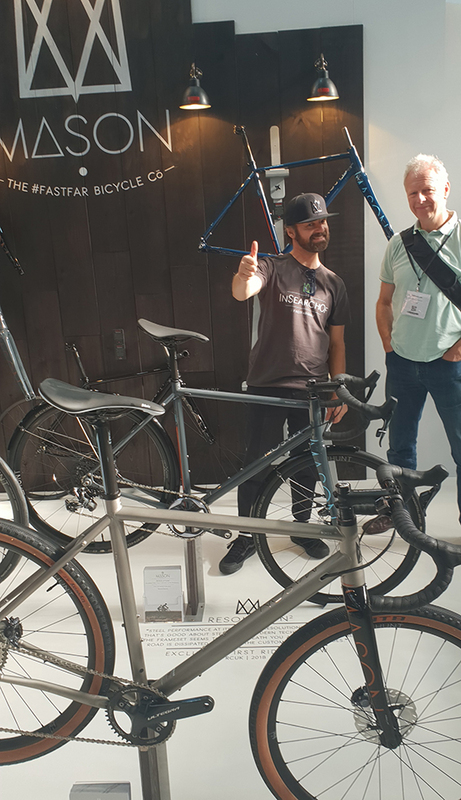 You can take a look at the new range on their website, which includes the Ribble Adventure 725 and the Ribble Endurance 725 Disc (pictured at the front in green) amongst other steel models. Viking had a major launch at the show, including bikes using Reynolds 853 and 725. 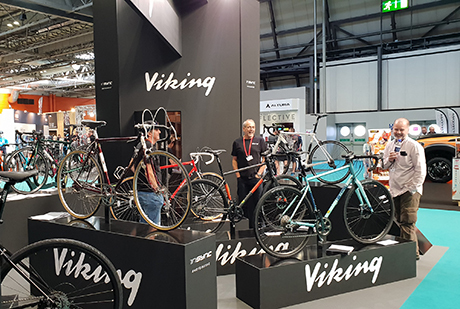 The Viking brand, similar to Reynolds, is over a century old – 110 years old, to be precise – and prides itself on being “a manifestation and celebration of the great tradition of British bike building and design”. 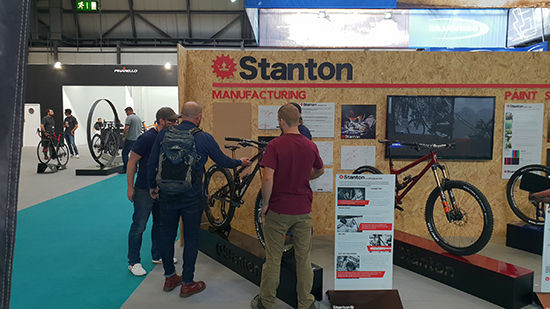 Stanton continue to develop their range , with a number of their bikes now manufactured in Derbyshire. 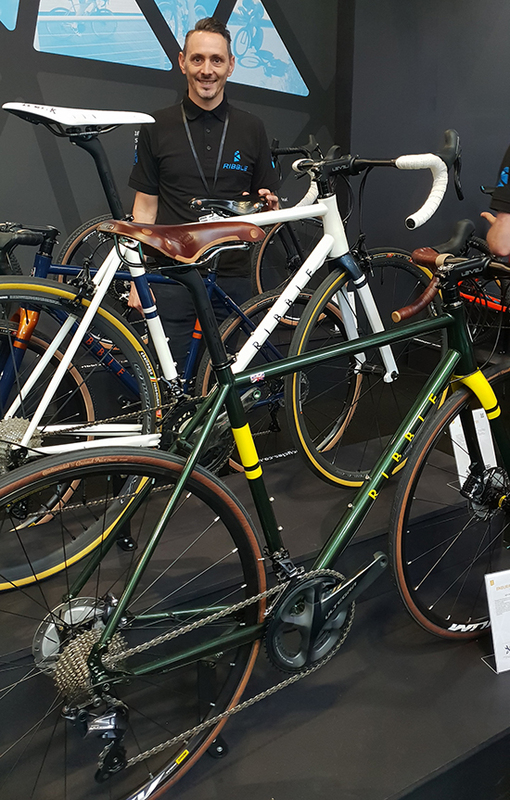 As well as a number of builds using Reynolds tubing, including the new Prototype Newnham, which uses Reynolds 853, this year’s Transcontinental winner Ede Harrison’s bike was on display. Ede was the fastest woman in this year’s race, covering 3533km in 13 days 16 hours and 30 minutes, with only her Wolfson and pedal power carrying her from Belgium to Greece via a number of other countries. Her Wolfson, which uses 853 tubing, was been described as a “steel springer that is as happy zipping along country lanes as it is zigzagging through traffic” in a Cyclist review. Take a look at the full Light Blue range on their website. Mason are expanding their range of Italian-built frames with Reynolds parts. The Bokeh Ti and Aspect uses Reynolds 3D dropouts and chainstays, and will use our 853 seat tubes in their new steel Insearchof model.